Since Louisiana law considers a left-hand turn at an intersection one of the most dangerous moves a driver can attempt to make, and since “an oncoming driver has a right to assume that the left-turning motorist will… yield to her right-of-way,” the law establishes a very strong presumption that an accident involving a left-turning driver is legally the fault of the left-turning driver. Even if you were the left-turning driver, however, you may be entitled to compensation for your injuries in some situations. The key is, if you’ve been hurt, to consult an experienced New Orleans car accident attorney and find out more about the options available to you. A real-life example from St. Tammany Parish, reported by nola.com, illustrates just how dangerous left turns can be. The collision took place at the intersection of Louisiana Highways 22 and 1085 near Madisonville. According to the report, a 16-year-old who was driving south on 1085 made a left-hand turn onto 22. While the girl fully stopped at the stop sign, she failed to yield to oncoming traffic when she pulled out and made her turn onto Highway 22. A full-size pickup truck slammed into the girl’s car on the driver’s side. The impact caused the truck to spin into another lane of traffic and hit a third car. Read more about rear-end collisions. The driver of the third car and the driver of the truck were not hurt. The girl driving the turning car, along with her mother, who was riding alongside, died from their injuries. All involved were wearing seat belts, and none of the drivers was suspected of driving while impaired, according to the nola.com report. The tragic outcome of this wreck shows in stark detail just how brutally harmful intersection collisions can be. While the second and third drivers were fortunate to escape the accident unharmed, that does not always happen. If you are injured as a result of a crash with a vehicle that was turning left, you may have a very strong case for compensation. If you are hurt by a driver who was turning left, providing proof that you were injured, that the other driver was turning left, and that the other driver had crossed the center line will go a long way in providing you with a winning case. Even if you are the driver who was making the left turn, you may be able to demonstrate that another driver was responsible and that you are entitled to compensation for your injuries. The law sets up a presumption that the left-turning driver is at fault, but that presumption is not ironclad. 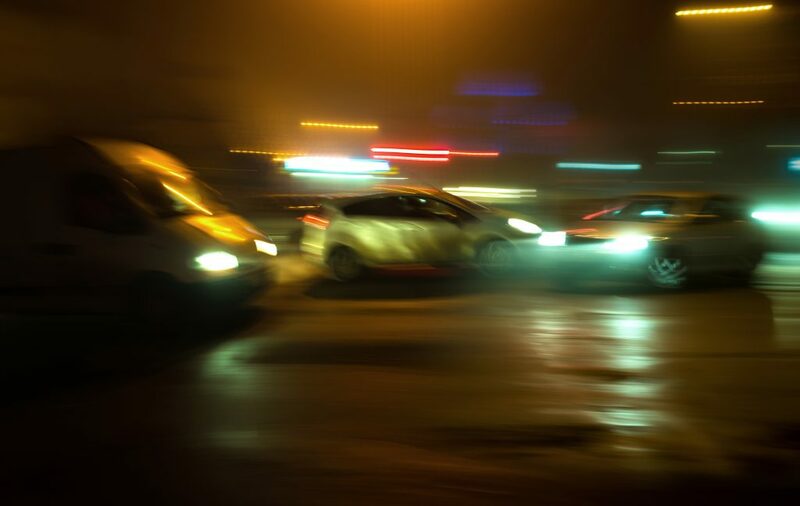 For example, if the oncoming driver was speeding, that act of exceeding the speed limit may be enough to establish that you were not to blame, that the presumption doesn’t apply to your case, that the oncoming (speeding) driver was at fault, and that you are entitled to recover your damages. Alternatively, if you are injured as the driver (or passenger) of a third (or subsequent) vehicle involved in a chain-reaction crash, you definitely need to approach your case with care. While it is distinctly possible that you were 100% free of fault, your case may require careful collection of evidence and an investigation of the facts to determine which of the other drivers was to blame and liable for compensating you for your harm. If you’ve been hurt in an intersection accident, call upon the Cardone Law Firm, where our experienced Louisiana car accident lawyers have spent many years providing our clients with the useful advice and helpful representation they need to seek the compensation they deserve.